Glassensikes has goblins as grim as any river-demons of Scottish land. Headless gentlemen, who disappeared in flame, headless ladies, white cats, white rabbits, white dogs, black dogs; “shapes that walk at dead of night, and clank their chains;” in fact, all the characteristics of the Northern Barguest were to be seen in full perfection at Glassensikes. It is true that these awful visions occasionally resolved themselves into a pony, shackled in an adjoining field, or Stamper’s white dog, or a pair of sweethearts” under the cold moon,” but still a vast amount of credible evidence exists about the fallen glories of the night-roaming ghost of Glassensikes. The Glassensikes witnesses are not all thoughtless, and superstitious men. An old gentleman of Darlington was, at the witching hour of midnight, returning from Oxeneyfield. It was a bright moonlight night, and the glories of the firmament led him, as he says, to possess a more contemplative turn of mind than he ever felt before or since. In such a frame he thought that if nothing was to be seen in the day, nothing could well haunt Glassensikes by night, and in firm faith, but without any wish to exercise an idle curiosity, he determined to look to it very narrowly, and satisfy himself as to the fallacy of the popular notion. Accordingly, when he came to the place where the road to Harewood Hill now turns off, he looked back, and was greatly surprised to see a large animal’s head popped through the stile at the commencement of the footpath, leading by the present Woodside to Blackwell. Next came a body. Lastly, came a tail. Now my hero, having at first no idea that the unwelcome visitant was a ghost, was afraid that it would fly at him, for it bounced into the middle of the road and stared intently at him, whereupon he looked at it for some minutes, not knowing well what to do, and beginning to be somewhat amazed, for it was much larger than a Newfoundland dog, and unlike any dog he had ever seen, though well acquainted with all the canine specimens in the neighbourhood; moreover it was as black as a hound of hell. He thought it best to win the affections of so savage a brute, so cracked his fingers invitingly at it, and practised various other little arts for some time. The dog, however, was quite immovable, still staring ferociously, and as a near approach to it did not seem desirable, he turned his back and came to Darlington, as mystified about the reality of the Glassensikes ghost as ever. 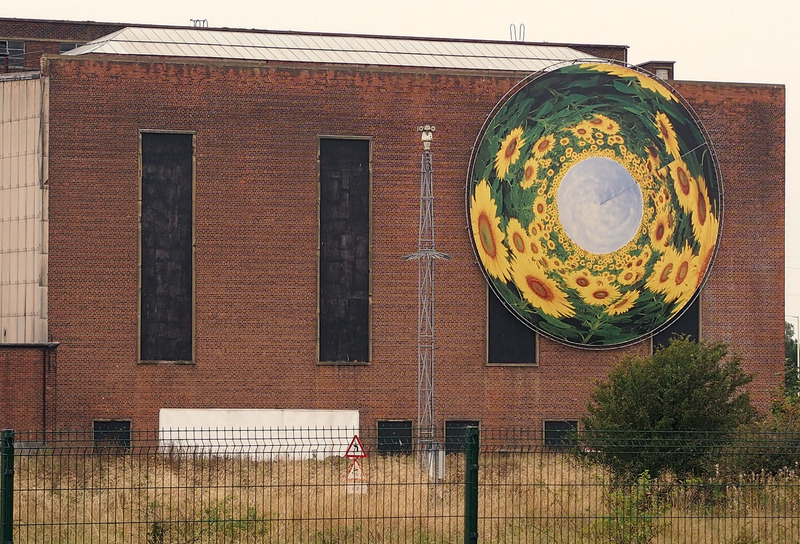 Of late years, this harmless sprite has seemingly become disgusted with the increased traffic past its wonted dwelling, and has become a very well behaved domestic creature. The stream, however, loves to make new ghosts, and by its stagnant nature does every thing in its power to obtain them. The headless man who vanished in flame, was, of course, the many-named imp, Robin Goodfellow, Hobgoblin, Mad Crisp, Will-the-Wispe,* Will-with-a-wisp, Will-a-Wisp, Will-and-the-wisp, William-with-a-wispe, Will-o’-the-wisp, Kitty-with-a-wisp, Kit-with-the-canstick (candlestick), Jack- with-a-lanthorn, Jack-w’-a-lanthorns, Fire-drake, Brenning-drake, Dicke- a-Tuesday, Ignis fatuus, or Foolish Fire (because says Blount, it only feareth fools), Elf-fire, Gyl-burnt-Tayle, Gillion-a-burnt-taile, Sylham lamps (being very frequent at Sylham in Suffolk), Sylens (Reginald Scot), Death- fires, Wat (seen in Buckinghamshire prisons), Mab (mab-led or mob-led in Warwickshire, signifies being led astray by a Will-o’-the-Wispe) with all the varieties of Puck. When seen on ship masts it is styled a complaisance, St. Helen’s fire, St. Helmes fires, the Fires of St. Peter and St. Paul, St. Herme’s fire and St. Ermyn ; in classic times Helen, and when two lights occurred, Castor and Pollux. 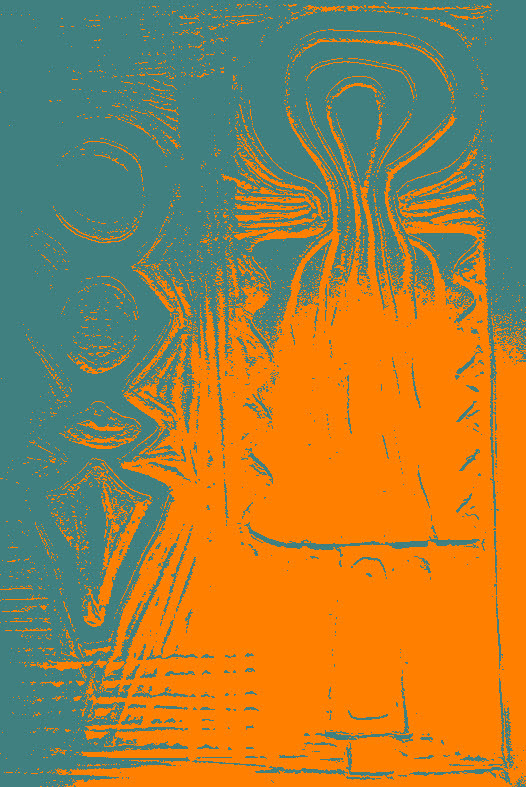 The phenomenon is a forerunner of a dearth in popular fancy, at sea it is a weather symbol, and in superstitious times the Romanist clergy persuaded the people that the lights were souls come out of Purgatory all in flame, to move them to give money, to say mass for them, each man thinking they might be some relations’ souls, The grand settlement of the Ignis fatuus (a natural marvel never yet satisfactorily explained) was in the little square field, now surrounded by roads. It revelled in its bogginess, unearthly flames lighted up the hedge near the Blackwell-lane, and a woeful wight was unable to return from Blackwell on one occasion, in consequence of a great gulph of fire there. I am given to understand that the Will-o’-Wisp has been seen even since Harewood Hill was built, and the field improved. 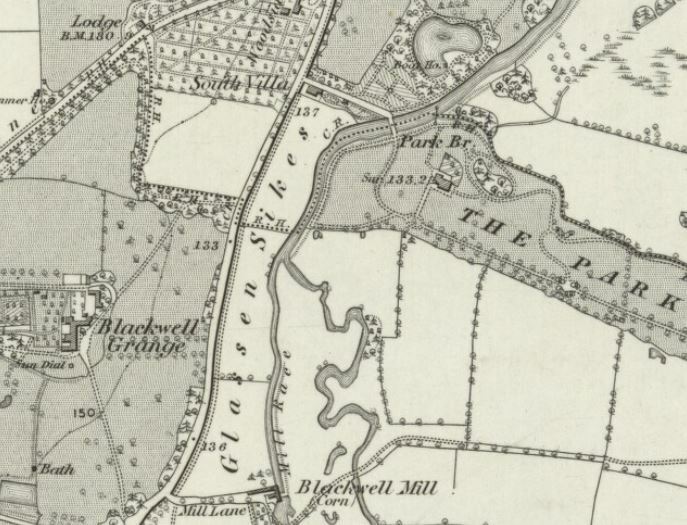 I am not sure that the headless man of Prescott’s stile (somewhat further up the bank, and hard by a little plantation of Nordykes, where the footpath to Blackwell turns out of the field into the lane) has quite disappeared from the ken of earthly eyes. I know not what the Prescotts did, but surely some dark deeds crossed their annals, or else their old deserted mansion at Blackwell, and their stile leading to it, would not have become the haunted spots they have. This oulde ladye is the evil goddess of the Tees. I also meet with a Nanny Powler, at Darlington, who from the identity of their sirnames, is, I judge, a sister, or it may be a daughter of Peg’s. Nanny Powler, aforesaid, haunts the Skerne, a tributary of the Tees. 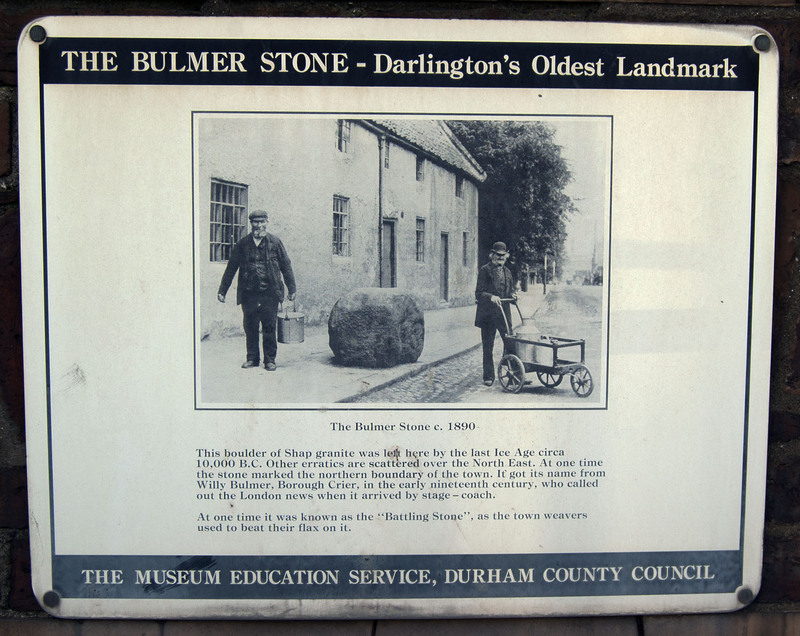 The Bulmer Stone in Darlington is a Shap granite boulder. The stone was named after a nineteenth century town crier called Willy Bulmer. Prior to this it was known as the Battling Stone. This 1895 account by Michael Denham shows that there were once a number of Battling Stones in the area. These now unused relics of a former period are still numerous throughout the length and breadth of the land, and must remain so, unless they have the ill-luck to meet the fate of the noble Piersebridge specimen, which was blown to fragments by means of gunpowder, by a fellow in the place, A.D. 1826. The are generally found on the margin of a stream, with the upper surface inclined towards the water. These stones were used by thrifty housewives some thirty years ago, whereupon to beat, battle, or beetle their home made linens or huckabacks, which even then pretty generally prevailed for domestic wear. The linen was thrown into the running stream and gradually drawn upon the stone, and there beat with a beetle or battling staff. The Piersebridge stone lay on the north side of Carlebury beck, a yard or two below the present footbridge. Another stone of this class, but greatly deficient in magnitude, still exists on the Cliffe side of the Tees, with one side in the river. It is on the premises of the George and Dragon Inn, not far from the bridge. I have seen it used. It is a granite boulder, as was the other. Glassensikes, near Darlington, is haunted by a Barguest, which assumes at will the form of a headless man (who disappears in flame), a headless lady, a white cat, rabbit or dog, or a black dog. 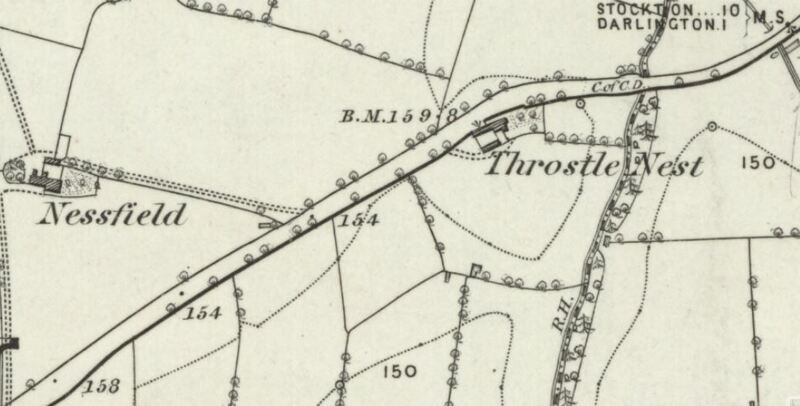 There is a Barguest, too, in a most uncanny looking glen, between Darlington and Houghton, near Throstlenest. In Darnton towne ther is a stane, And most strange is yt to tell, That yt turnes nine times round aboute When yt hears ye clock strike twell. There were many opponents to the opening of the Stockton to Darlington railway these included farmers, waggoners and turn pike operators all of who could see how the movement of people and goods along a railway would affect their business. The immediate consequence of the opening of the railway was that coal fell from 18/- per ton to 8/- in Stockton and Yarm. 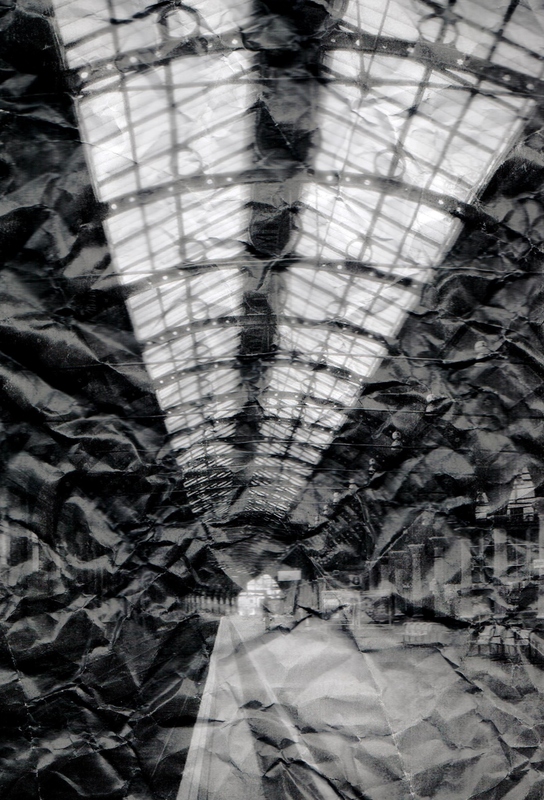 The railway began to move more coal to Stockton than there were ships to take it away. The Darlington members of the railway committee were in favour of extending the railway to a point further down the river while the Stockton members proposed making a cut in the river at Portrack to ease the passage of ships up the river. Whilst this controversy was on going the directors of the railway company purchased several hundred acres of land at Middlesbrough. This caused a split in the committee, Stockton and Darlington each went its own way. Darlington founded Middlesbrough and Stockton made a new cut in the river. The presence of the railway at Middlesbrough and the discovery of ironstone in the Cleveland Hills ensured the success of Middlesbrough.